I have been running my iPhone 4 on iOS 5 beta for a few weeks and have found this UI Design blooper which is related to the Notification Center Gesture. In general, in iOS 5, wherever you are, you can swipe across from the top to the bottom to un-hide the notification center that gives you a list of alerts and notifications. 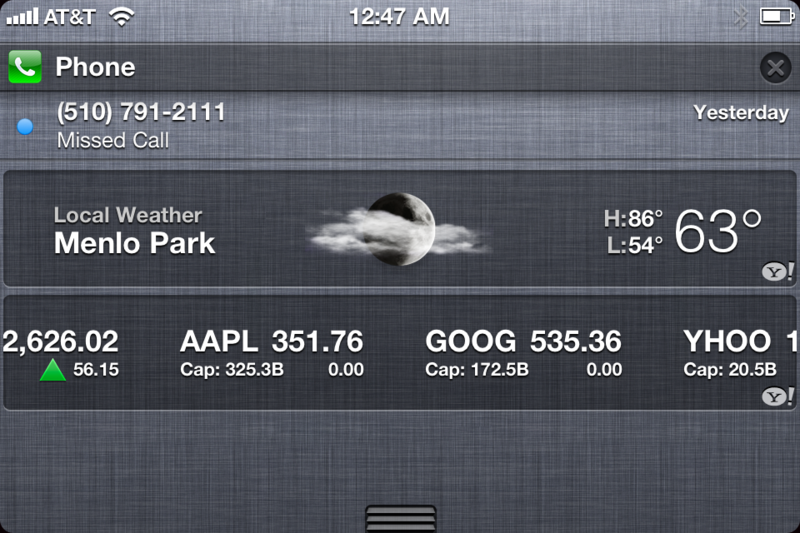 You can swipe from the bottom back up to the top to close the notification center and get back to where you were. I use my iPhone camera a lot to capture precious moments of my daughter doing something interesting and I constantly switch back and forth between still shot and video modes. When I happen to be on the landscape video mode and try to switch to still shot mode, the swipe gesture on the switch is mistaken for notification gesture and it pulls down the notification center. It happened to me often enough that it became an annoyance. Similar problem occurred when I was enjoying a virtual round of golf on Tiger Woods iPhone game. I could no longer casually swipe from the top to the bottom to make a golf swing. I had to carefully land the tip of my finger to the target area to avoid triggering the notification center. One possible design iteration Apple could take is to make the top gesture area narrower. 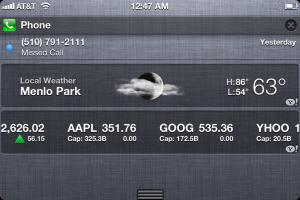 Maybe they can change it so that only center top region activates the notification center swipe interaction. 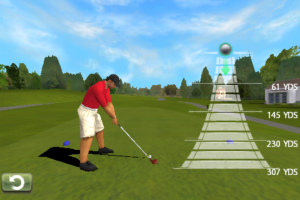 In the mean time, iOS 5 app and game developers need to be aware of this new design issue. 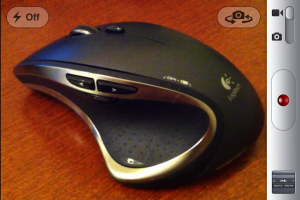 If you haven’t watched, please have a look at the video post below where I did a hands-on review of iOS 5 features. If you skip forward to around 1:45 mark, you will see the notification center in action.